The first order of business was to select the Nanopress Orange Patrol (Loam Coffee orange?). The color pops and as soon as you hold it in your hand and begin disassembling you’re immediately struck by the quality and thought that went into it. So much engineering packed into a small hand-held espresso maker. After we disassembled the Nanopresso we measured out about 9g of our Eskapee (Mexico Comalapa Regional Select) and heated water in our kettle to 212 degrees. The Nanopresso comes with a sweet little tamper (not in the photo above) so after we ground the coffee (fine for expresso) we tamped it and added the filter basket to the pump and reassembled the whole unit. Then came the fun … we flipped the Nanopresso upside down and began pumping. For the sake of pictures and to see more clearly we pumped the coffee into a cup we use for cupping. 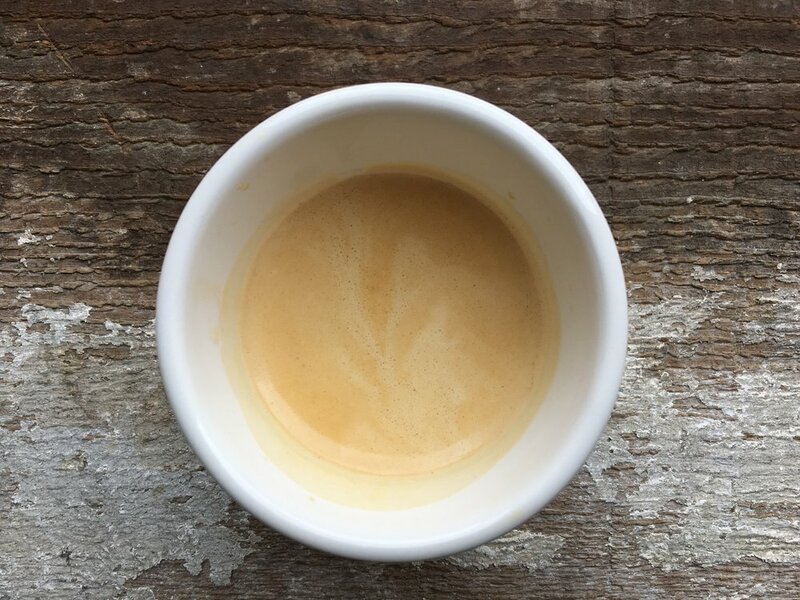 One thing is clear about the Nanopresso … it actually makes a good shot of espresso … complete with crema! “Smooth” is the comment heard after the first sip. Full confessional time … ready? 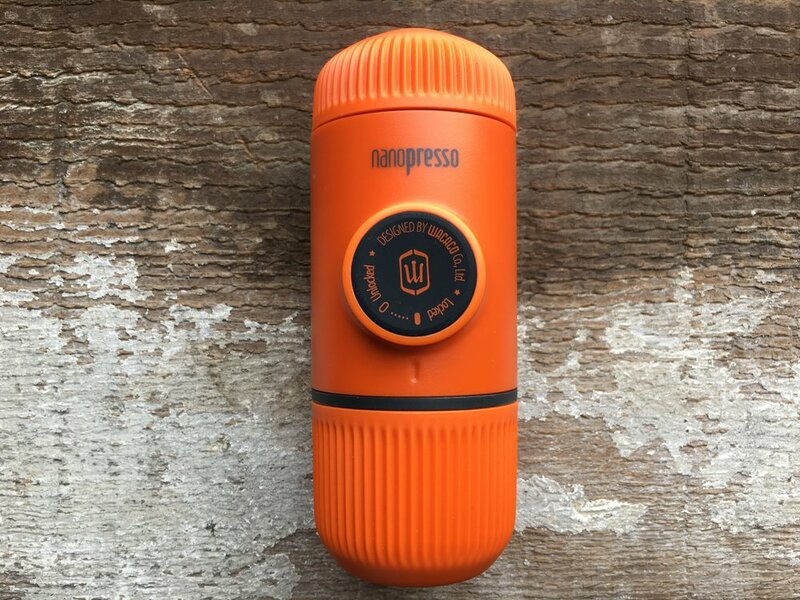 I pretty much use the Nanopresso on a daily basis now. While my morning go-to coffee is brewed with an Aeropress my afternoon coffee is now an iced Americano with the Nanopresso. I will brew twos shot into water, add ice, and boom … cafe quality iced Americano. In other words, this is more than a review about some new fandangled brew method contraption. Instead, it’s a review of a product that I’ve personally grown to love and use daily. Not only that, but when I’m on the road or camping I bring this along with me. I use it whether I’m sitting at the beach on the Oregon coast or in the morning at my tent when I just wake up.